In his first couple of seasons at his new club, Guerreiro was a mainstay in the reserve team’s starting eleven. Eventually, he worked his way into the first team where he started every game, bar one, and was considered as the best left-back in the French 2nd tier. 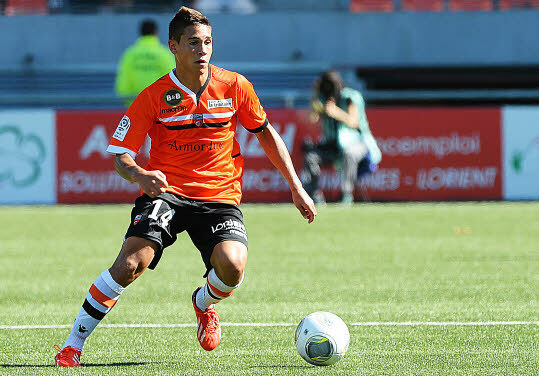 It did not take long however for Guerreiro’s wish to come true, called up by Rui Jorge to play for his U21 side against Sweden in March of 2013. Impressing Jorge and his coaching staff, both internationally and a club level, the youngster would go on to make seven appearances under the former Seleção full-back in helping his indomitable side qualify for the 2015 European Championship in the Czech Republic before being called up by Fernando Santos. As an adolescent before moving to Caen, Guerreiro would often go on vacation to the Algarve, and that affinity to the famed southern Portuguese state was evident in a crucial European Qualifying tie against dark horses Armenia in Faro. Fernando Santo’s squad followed up the Armenia tie with a game against Argentina billed as a hotly contested Ronaldo versus Messi showdown. A tie bludgeoned by the debate of this year’s recipient of the Ballon d’Or, it similarly acted as a homecoming for the former returning to his beloved Old Trafford, but neither lived up to expectations in a frustrating match. A deflected Adrien shot off Éder fell rather kindly to the feet of Quaresma who, for the third time in recent games, was the difference as he delivered a pint point ball that Guerreiro was almost obliged to put into the back of the net with a diving header having rushed forward in support.